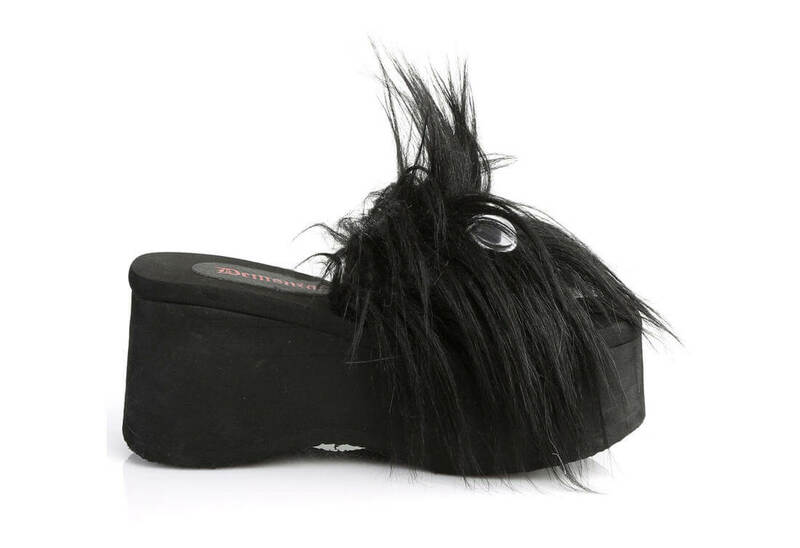 These furry little monsters have a light weight 3 1/2 platform. 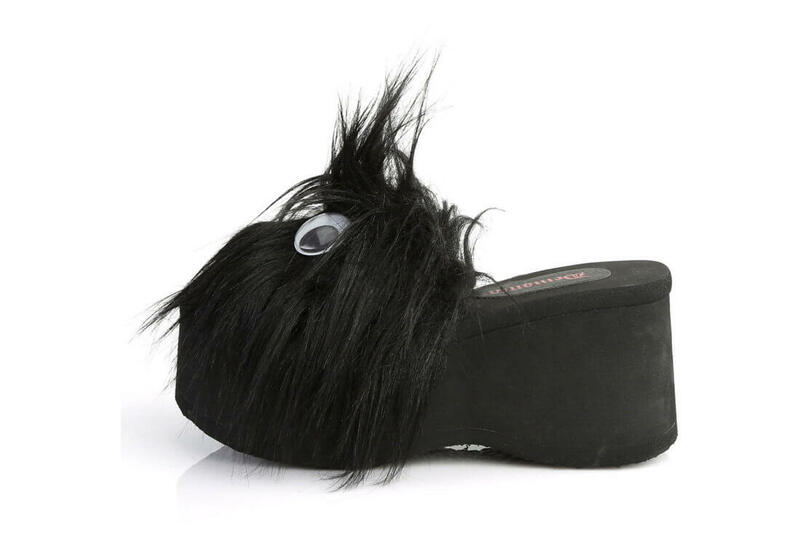 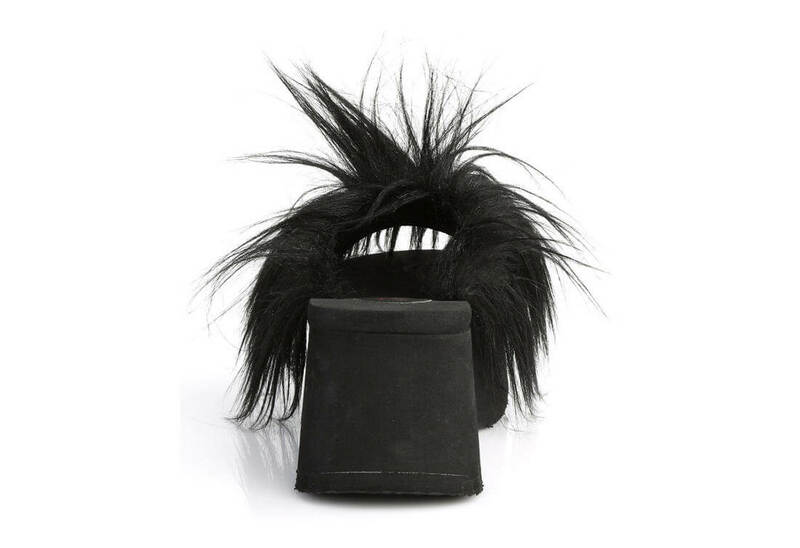 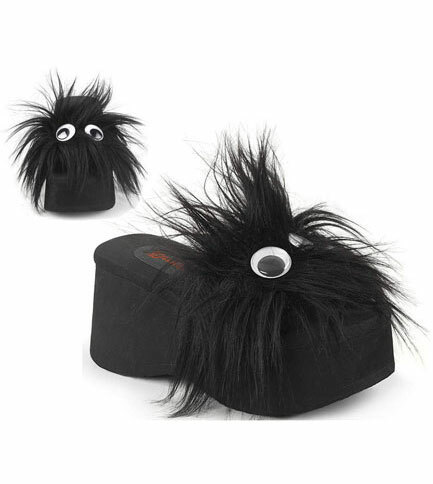 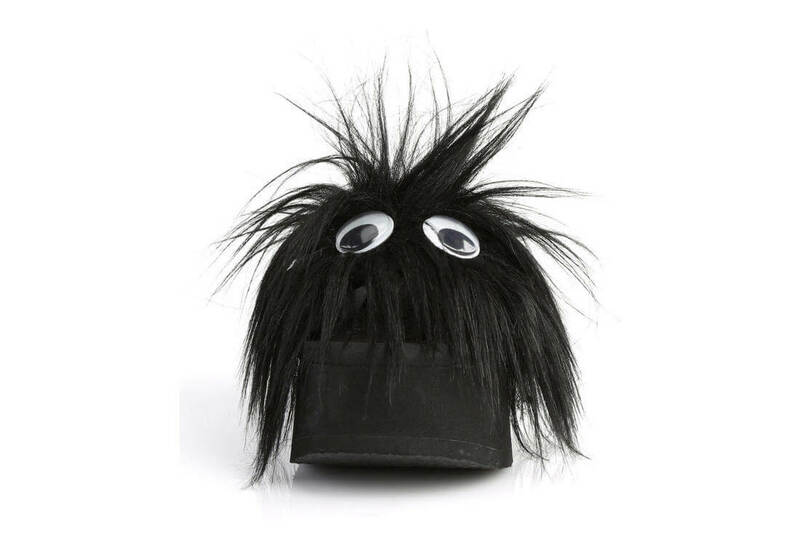 They are made from faux fur (not real monster fur), and have googly eyes that will keep you entertained for hours. 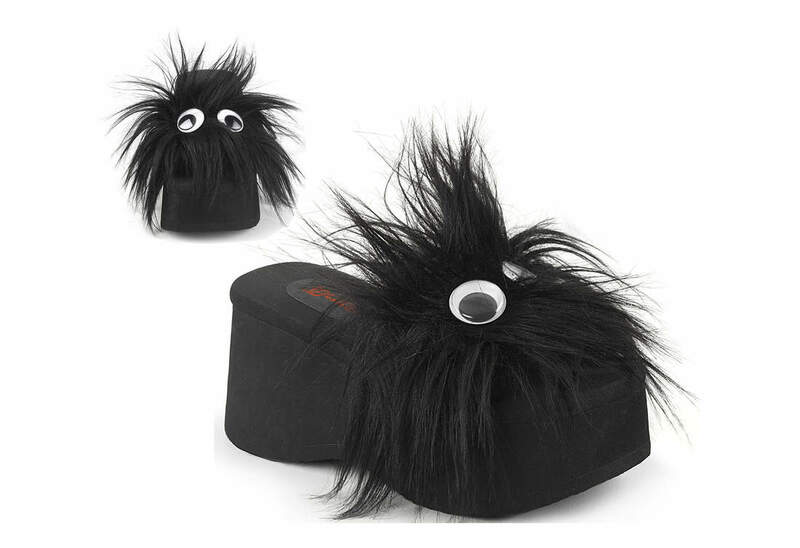 These platform sandals are great little companions for your feet and they love to be walked regularly.